Annie's 9 puppies are ready for adoption! Looks like daddy must have been a lab/pointer mix. 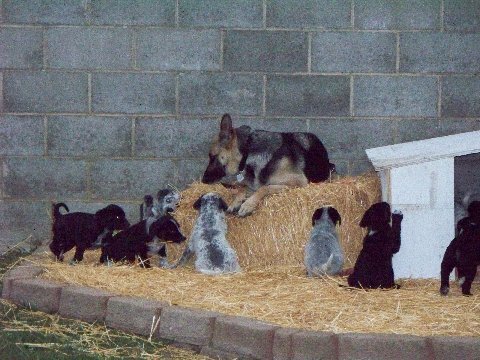 Had we not witnessed the birth of these pups we wouldn't have believed she's the mom to these adorable 'non-shepherds'. 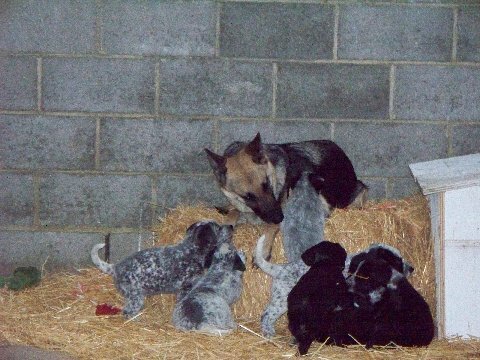 There are 9 puppies, 2 females, 7 males. They are adorable and mellow. The pups will be on the larger side, we estimate maybe 60-75 pounds, depending on the puppy. If you're interested in adopting one of the pups, please fill out an application.